Walking your dog used to be thought of as some sort of punishment or job that had to be done so that the dog would go number 2 outside instead of inside the home. It doesn’t have to be that way. Walking a dog is a healthy proposition. Sorry cats. This article is written for canines. Cats do not like taking walks. If you put a leash on a cat you are giving it license to hang itself or to get twisted into multiple knots. Cats just hate having anything applied to them. Even a collar can be a pain to get a cat acclimated to. The benefits to walking your dog are way too numerous to mention but the important ones are addressed. Walking is a fabulous form of exercise that is applicable to all ages of dogs. The young to middle aged dog will benefit from maintaining its body weight plus strengthening its muscle mass and tone. This is important as the dog ages. Arthritis is a musculo-skeletal disease that develops as animals age. The keyword here is musculo. The skeletal component of arthritis is known to everyone. Bone grinding against bone causing acute and chronic pain. Bones are not the only thing that hold the body up. Muscles play an important part in stability. Keeping muscles toned will help to alleviate a failing skeletal system as an animal ages. Walking your dog not only help to maintain its body weight but helps to take it off if the animal is overweight. By slowly starting a walking program and reducing caloric intake dogs will lose weight over time. The weight loss is gradual but with each pound that comes off the dog will feel like exercising more. It is a win-win situation for any dog. Losing weight and walking will also stabilize or strengthen the hip and knee joints. These two joints, in particular, cause the majority of joint pain as a dog ages. Even when a dog has arthritis walking is important. Walking will slow down the deposition of scar tissue in the hips. An older dog may not be able to walk miles but even a short walk can be beneficial. Walking your pet is also a social activity. Other people out walking will stop and talk to about anyone walking a dog! Sometimes they are walking their own dogs so there can be social interaction between the animals. If you want to learn about dog behavior and body language just watch the sniffing exercise that they all perform religiously. Finally, walking a dog does help it stay regular! This is one of the main reasons why people take their pets out for a quick jaunt around the neighborhood. When a dog moves, its viscera (intestines) bounce around. All of this motion stimulates the desire to have a bowel movement. That motion also puts pressure on the urinary bladder which then tells the dog via nerve impulses that it has to urinate. Along these lines always make sure to curb your dog or clean up its bowel movement if it does go on private property. People have to take care when walking their dogs during hot weather. Living in Florida or in a desert will quickly teach you how dangerous heat and humidity can be when exercising. 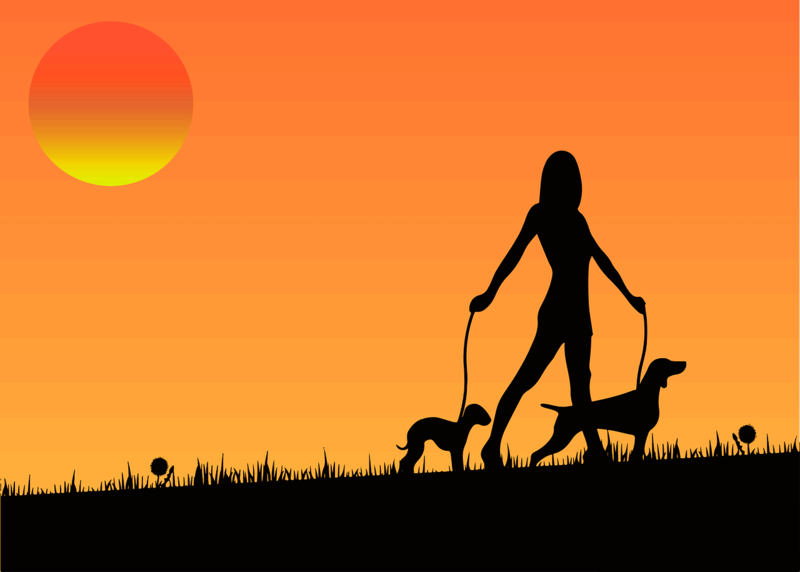 During hot summer days walking your dog in the early morning or after the sun has gone down will not only make it more enjoyable but safer for the dog. Remember that dogs can not tell you that they have stomach cramps or feel weak. Give your dog a break and stop in the shade for a bit. Carry a small container of water that can help rehydrate a thirsty pet. Cold weather can be just as dangerous as the heat. The problem with winter is the biting cold that animals and people have to endure. If the body is not protected this can easily lead to hypothermia. The heat that is produced during summer weather that makes us all miserable is a life saver in the winter. This heat is produced by muscle contractions but it too can get overwhelmed in cold weather. Apply a suitable winter jacket to keep your dog warm and use dog booties to prevent the irritating effects of road salt from getting in between the pads of the feet. Walking your dog does take a little preparation. Where are you going to walk your pet? What type of leash or appliance are you going to use? If your dog has a medical condition should it be exercised? These are all valid questions that need to be addressed before you and your dog hit the road. One of the best places to walk your dog are on the many miles of bike paths that crisscross the country. Every state has beautiful road surfaces that used to be old railroad lines. They often pass through rural farms and beautiful countryside. During the summer, stop and enjoy the cool evening thanks to the tree canopy way overhead. If those are not available walking your pet can be on any road surface be it a suburban or city street. The main issue is safety for both you and your pet. I walk 5 miles every morning. I wear bright colored t-shirts to make myself visible to commuters. Try to do this yourself. They do have bright colored reflective materials that can be affixed to dog harnesses. Be careful when walking in snowy weather. You don’t want cars sliding in your direction while walking. If you live along the coast take advantage of walking your pet on the beach. Check first with the municipality if dogs are allowed before you go. This is a public health concern. Hookworms and roundworms are easily transmitted to people from dogs in beach (sandy) environments. Some sort of leash or support system is needed to safely walk your dog. Do not do what I see every day while I am walking. Do not let your dog run loose or even by your side even if it is trained to do so. It can easily get hit by a car. Never attach a dog leash to a bicycle that you are riding. I see this in Florida where it is hot most of the time. A dog in this situation can easily overheat. A leash can be used in the case of walking small dogs. Large breeds of dogs do well with an appropriate sized choker collar. A good bet beforehand is to take your dog (preferably young puppy) through obedience training. Dogs that have a brachycephalic type skull (English Bulldog, Pug) or those that have or are prone to tracheal stenosisThis is a congenital condition seen in toy breeds. There is a narrowing (stenosis) of the windpipe in either the neck or thoracic region that makes it difficult to get air in or out of the lungs. Some young animals can adapt but as they get older they have the characteristic goose like cough. It is easily diagnosed by any type of imaging. or collapse (Poodles, Yorkshire Terriers and Maltese) should all be walked using a harness. This takes the pressure off of the neck and distributes the forces to the torso of the animal. Whatever system you use make sure that the collar is not loose around the dog’s neck. An animal can easily slip out of the collar and get hit by a passing car or get lost. Walking your dog can be a lot of fun for both you and your dog but what about dogs that have special medical problems? 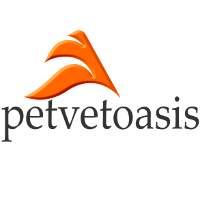 If your dog has been diagnosed with an internal medical problem, obesity, arthritis or some other condition that might be exacerbated by exercise talk it over with your veterinarian. That individual knows your pet and can recommend different types of exercise if walking is not warranted- such as swimming in a pool. If walking your dog is permissible discuss the limits and frequency of said exercise. If you have your dog spayed it is a good idea to not walk your dog for the first two weeks after surgery. Even if you usually let your dog out to urinate by itself in the morning do not do this. Use a leash for two weeks. You want the abdominal incision to heal. Excessive exercise after surgery can easily break down a surgical wound. This can then lead to an evisceration or, at a minimum, lead to a swollen incision site. This rule does not apply to male animals because the surgical procedure is not abdominal. Males can enjoy exercise after only a few days of rest.